Enterococcus bacteria is a common problem in canines and other small animals according to Mark G. Papich, DVM, professor at North Carolina State University. The most common species of this bacteria are the Enterococcus faecalis and the more resistant E. faecium. The bacteria can be difficult to treat because of its resistance to antibiotics limits treatment options. Papich recognizes Vancocin as one of the most successful treatments. 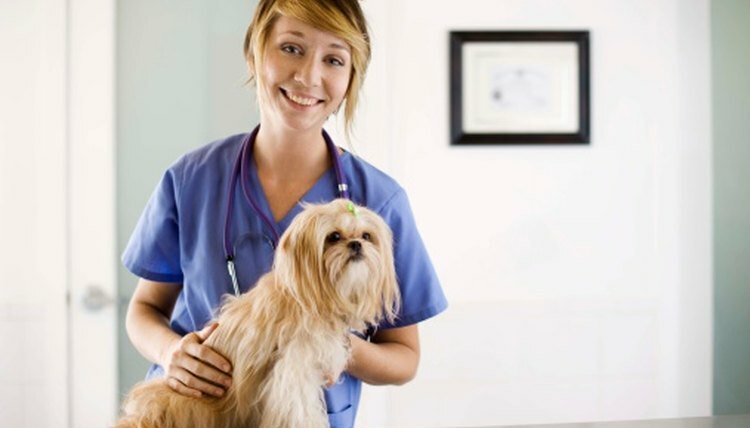 Bring your dog to the vet to have a susceptibility test for cephalosporins and fluoroquinolones, which are two kinds of antibiotics. Enteroccoci are resistant to antibiotics so discovering what medications are effective will determine the method of treatment. Administer the Vancocin to the canine intravenously. According to Papich, this medication should not be administered orally or by injection because this would be too painful for the pet. Maintain concentrations of Vancocin that are within the therapeutic range. Never exceed a dosage of 15 milligrams per kilogram because this would be toxic for the animal. Use an aminoglycoside like gentamicin alongside the Vancocin for effective treatment, recommends Papich. You should never treat your pet yourself. The steps listed above should only be completed by a trained veterinary professional.